Joseph Brashaw was born in Bellambi, NSW. The family moved to Perth, WA soon after and at the time of enlistment Joseph was single, 24 years of age, employed as a chemist and resided in Perth, WA. Joseph had previously served 7 years with the Cadets and 4 years with the Militia. Joseph embarked from Perth, WA on the HMAT A50 - Itonus as a Lieutenant with the 16th Battalion, 2nd Reinforcements on 22 February 1915. He arrived in Egypt on 17 March 1915 and was in charge of a reinforcement group when he landed in Gallipoli, Turkey on 29 April 1915. He was wounded in action on 2 May 1915 and evacuated to hospital for treatment of a gun shot wound to his right leg. 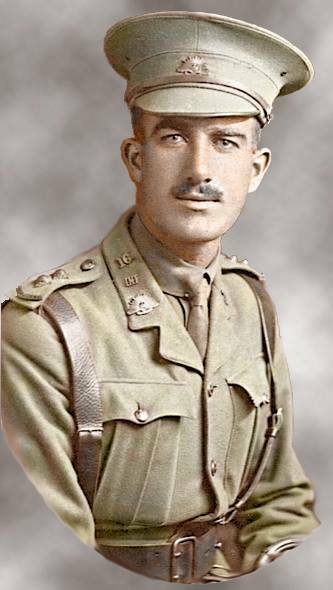 Joseph returned to Gallipoli, Turkey on 28 July 1915 and was promoted to Captain on 29th July 1915. Joseph was killed in action during the attack on Hill 971, Gallipoli, Dardanelles, Turkey. He had been killed when an enemy field guns fire hit his position.